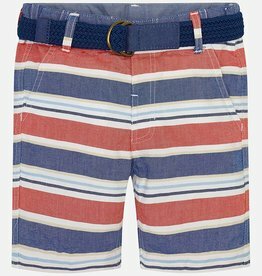 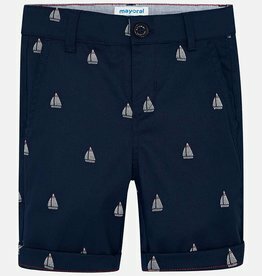 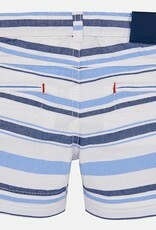 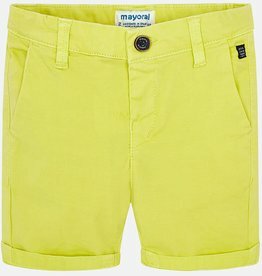 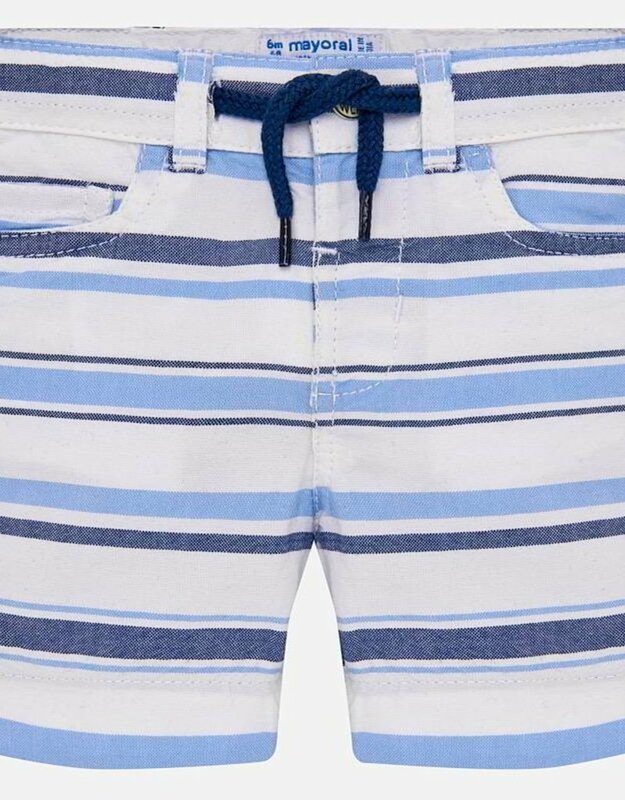 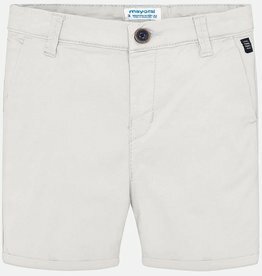 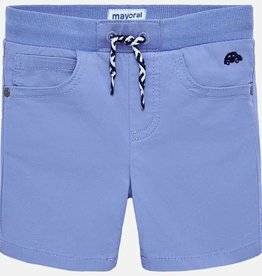 These Mayoral Bermuda shorts for baby boy have an elasticated waistband with button fastening. 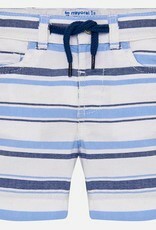 The waistband also has an adjustable drawstring. 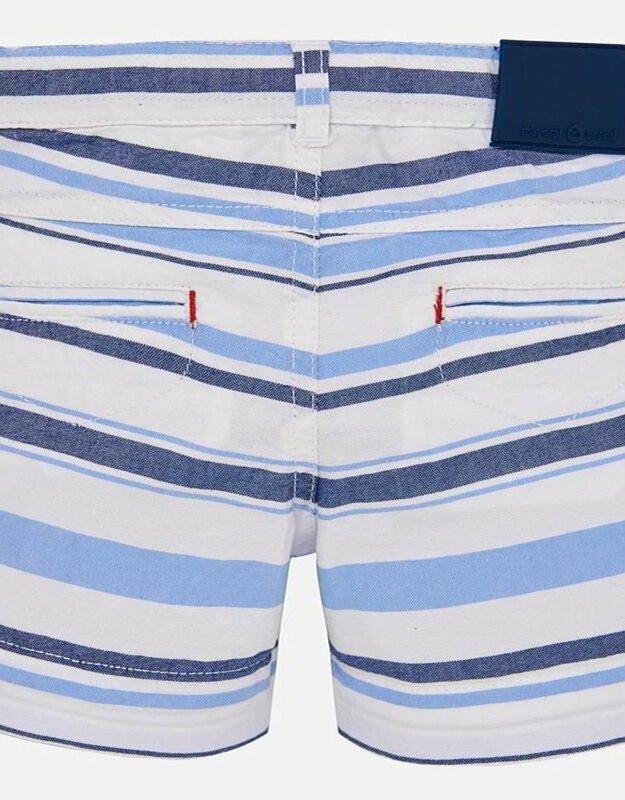 They are made from 100% cotton fabric and have functional front and back pockets.